To keep your family secure, we recommend that all exterior doors of your residence have both keyed locks and deadbolts, and that all sliding doors have security bars. If you’re not sure what type of security is best for your home, we’d be happy to talk with you! If you own a business and an employee leaves the company or loses his or her keys, rekeying the locks is the best way to ensure that your property and inventory remain secure. If you don’t see what you need, give us a call and we can find it! 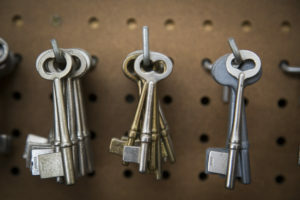 Whether you need a key for your home, office, motorcycle, car, or safety deposit box, we can help. Stop by our store and we’ll make your copies while you wait. Whether you’re looking for a personal safe, or one for your business, we offer all of the major brands. We invite you to come to our showroom to see all of the options. We sell and service TAC II and Smart Safes. Keeping all cabinets secured. Whether you've locked your keys in your car or lost the combination to your safe, you can count on the expert locksmiths at Accurate Locksmith for all your emergency lockout needs! To serve you as quickly as possible, we have radio dispatch services to ensure prompt service when you need it most! Don't get stuck outside longer than necessary; you can always rely on the experienced technicians at Accurate Locksmith for the reliable locksmith services that you need! We’ve rarely seen a lock we couldn’t repair. 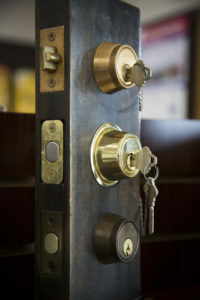 We repair locks on doors, mailboxes, autos, motorcycles, vaults, safes, and keyless entry locks. We even repair antique locks! You can bring your broken lock to us or we can come to you to get your locks working again in no time. Maybe you’ve lost the key to a storage facility, a mailbox, or even your front door. We can change the lock to accommodate a new key, and in many cases, can even transform several different locks to fit just one key. When you want to add extra security, we can install locks virtually anywhere you can think of. We’ll assess the situation and make recommendations to provide the best type of lock for your specific needs. If your safe keeps sticking or you’ve misplaced the combination, we can help. Nobody knows safes better than we do, and our technology allows us to open and repair almost any safe.